I feel like once you hit 30, things start to sag, wrinkles really start to develop and your skin basically starts to lose its youthfulness that you’ve been enjoying up until this point. I’m so thankful for products that help not only the face but the rest of the body in my pursuit to always look younger than my age. Avon‘s Skin So Soft Firm & Restore collection is all about taking care of the other parts of your body that need to benefit from anti-aging treatments just as much as your face. Formulated with babassu oil and a pretty green floral scent, the Skin So Soft Firm & Restore collection was made to give your skin a firmer and more radiant appearance. Firm & Restore comes in a collection of three products, which include the Neck & Chest Treatment Cream with SPF 15, the DD Body Cream with Broad Spectrum SPF 15 and the Perfecting Body Oil. 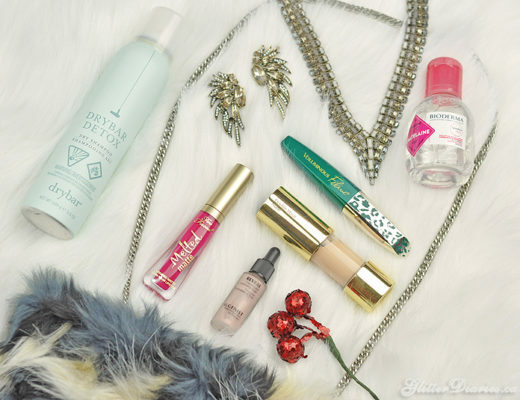 This review will focus on the first two products, which are definitely the highlight of the collection. 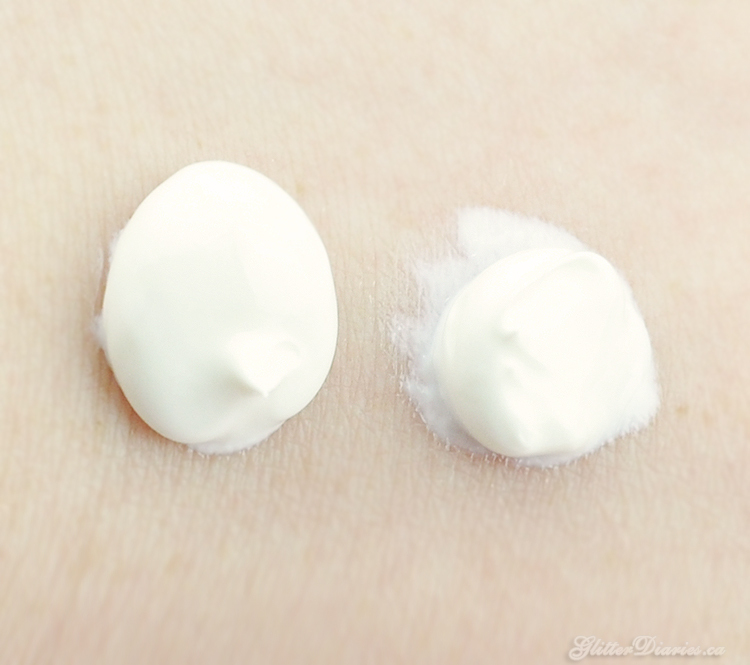 The Neck & Chest Treatment Cream with SPF 15 ($9.99 / 100ml) is a treatment for your neck and chest and helps those areas improve their firmness, diminish the appearance of wrinkles, and keep them looking radiant. 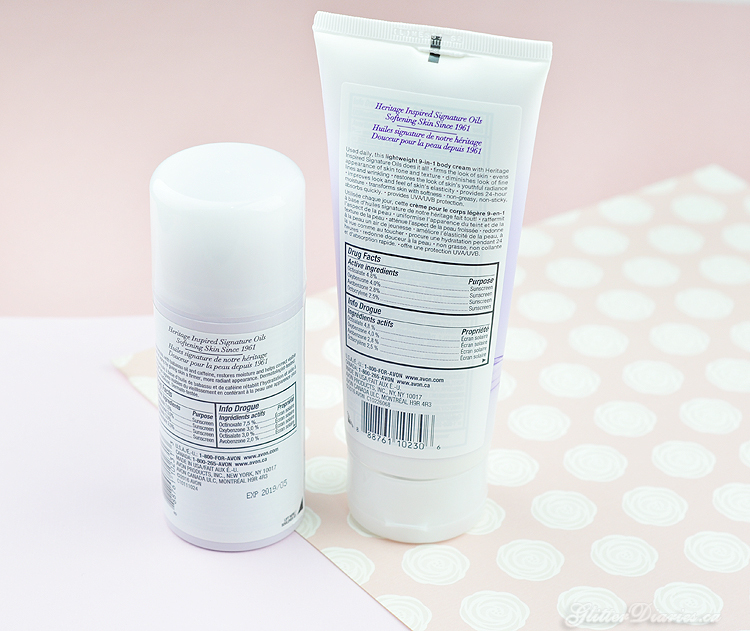 The DD Body Cream with Broad Spectrum SPF 15 ($9.99 / 200ml) is a 9-in-1 body cream that restores your skin’s radiance and evens out your skin tone and texture. I really like DD Creams and the one in this collection is great. It’s a thicker consistency, compared to the Neck & Chest Treatment but it’s easy to apply and makes my skin feel really hydrated. I’ve noticed that my legs and arms look less blotchy and a lot smoother in tone. I’ve been using it a lot because I still can’t seem to put my skirts away for the year, so it’s nice to put on some SPF while my legs are bare, even in this weather. The Neck & Chest Treatment is one I’ve really been enjoying. The pump tube is a great feature that allows me to get the right amount of cream to smooth on. My neck and chest feel softer, smoother and more even in tone. If you’re looking for more budget-friendly skin treatments to pamper your body, neck and chest with, you should consider looking into Skin So Soft Firm & Restore! 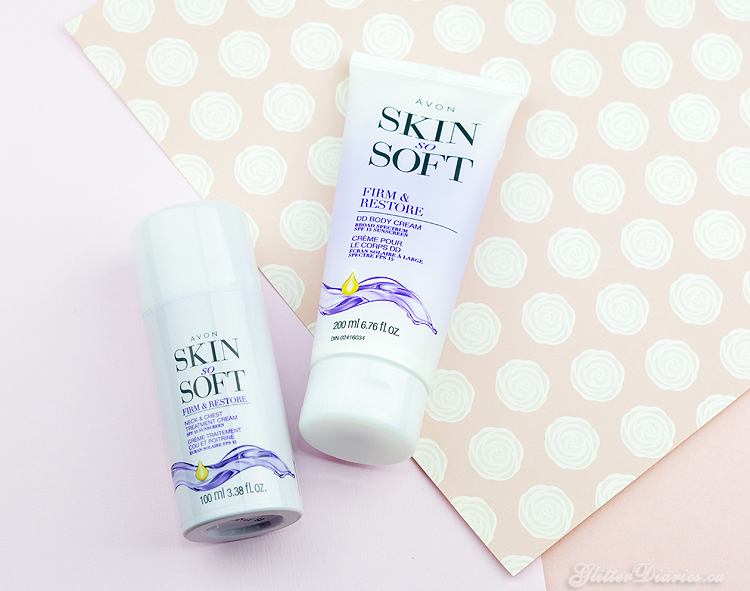 What do you think of the Avon Skin So Soft Firm & Restore Collection? Have you tried or heard of any of the products?! Share your thoughts below! 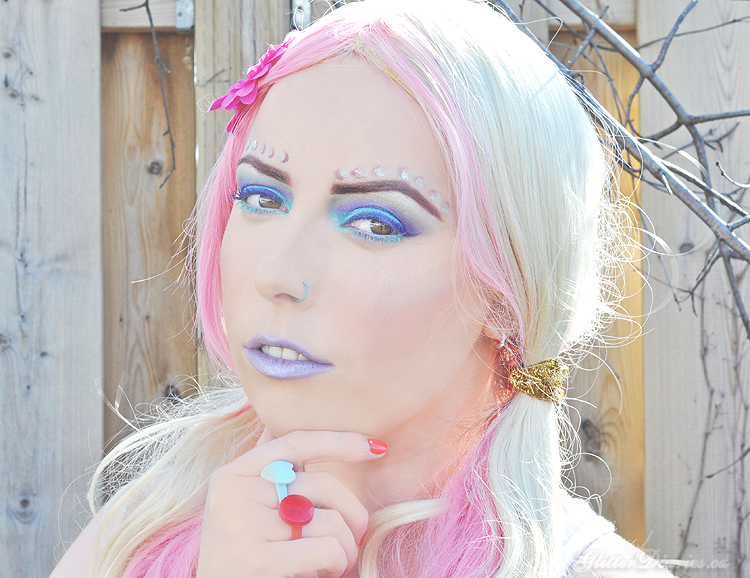 MAC Lightscapade Mineralize Skinfinish Review + Swatches!